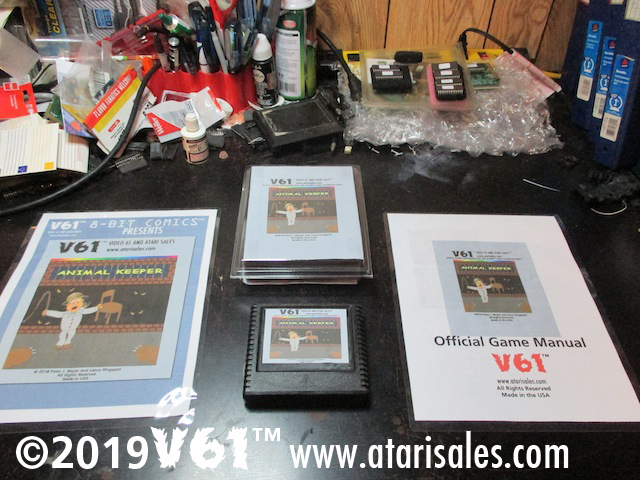 The team from Video 61 brings us a new homebrew title for both the Atari 5200 and the Atari 8-Bit computers: Animal Keeper. As you might guess from the title, the game is a clone of the arcade title Zoo Keeper. The price for either version is $39.95. shipping is free if you live in the USA. 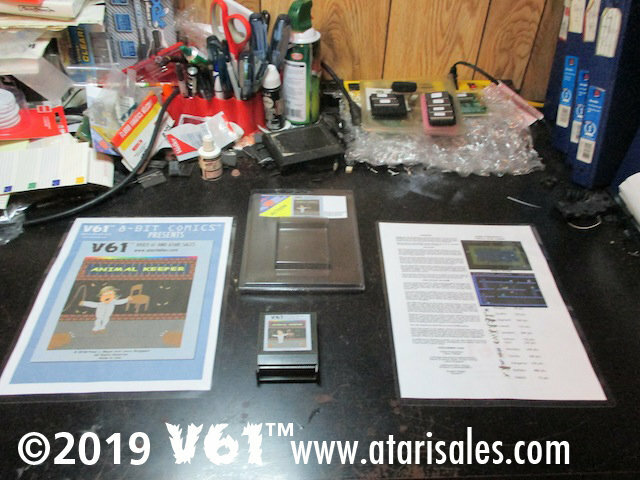 As of right now Video 61 is only taking orders via personal e-mail and payment only by PayPal. When ordering, please specify your country of origin for shipping information. I never got to play this at an arcade and I've yet to see a machine for it at any retro event. Looks fun, though. It was at the last APE show down in Fort Lauderdale area that you went to, but due to the large number of machines, the power was fluctuating and the power supply in the game wasn't putting out good voltage and so it was not working most of the time. It was actually just a couple machines to the right of the Make Trax machine that you played. Good memory! Maybe I don't remember it because it wasn't working.